SLCS is committed to preserving childhood by focusing our Early Childhood programs on play, work, imagination & stories. For children from birth to 3½ years and their caregivers, we offer the Growing Together: Parent & Child program. Children aged 3 to 5 years can enroll in Thimbleberry Preschool. Older 5s and 6 year olds can enroll in Rosebud Kindergarten. At SLCS, children are guided toward a lifetime of healthy success by building their innate capacity for and love of learning. 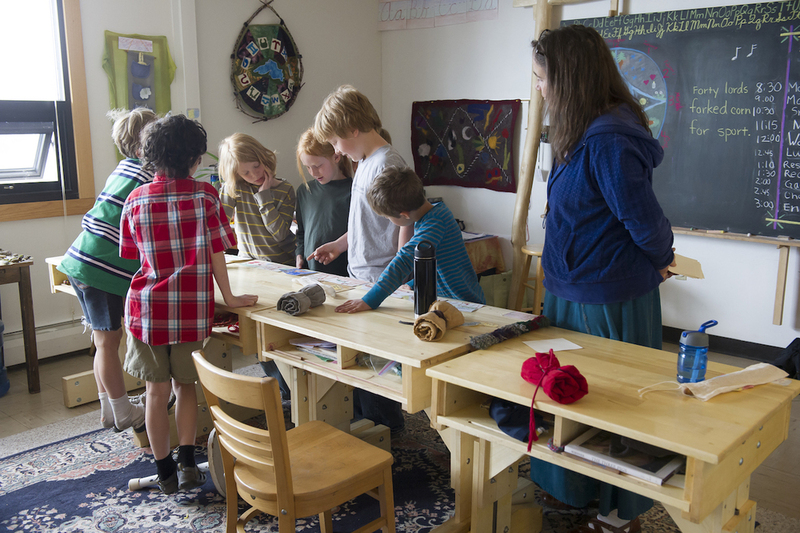 Faculty bring individualized, healing & nurturing lessons to every student. Alongside six to ten classmates, children are mentored & educated in a rigorous, interdisciplinary academic program covering a wide range of subjects & life-skills that are proven to successfully prepare them to thrive in mainstream high school. Spirit of the Lake Community School is a thriving, vibrant, progressive & engaged environment cultivated by parents, volunteers & dynamic individuals. A full calendar of seasonal festivals, community events and educational seminars creates a diverse and multi-generational template that supports children in fully developing their unique talents. — Jack Petrash, "Understanding Waldorf Education: Teaching from the Inside Out"